Have literally hundreds of sales people selling your crafts for you! Provided by a published designer with over 15 years experience! If you have a hard time selling, but still enjoy making arts and crafts related items, then why not have all the fun you want while letting others do the selling for you? In this issue of profitable crafts you learn exactly how to do just that. Yup, the Profitable Crafts series of e-books would really be a great set in which you can invest, in my opinion. Contrary to the title, Profitable Crafts appears to be more than just a guide for hobbyists and enthusiasts. The entire set can be of enormous help to people owning all sorts of businesses. The advice is practical, the content is interesting, and you can easily see how your business can get a lift if you implement the advice this provides. The fourth volume of Profitable Crafts pays special attention to catalogs and the unique ways you can use to promote your products. It contains some sensible advice that is appropriate for any kind of business. It also wraps up everything with some guidelines on creating a website for your burgeoning business. All in all, whether or not you're into crafts, this last e-book will be a big help to you. As usual, Maria Vowell effectively shares her passion and knowledge on crafts in this e-book. Again, Vowell’s genuine desire to help others succeed in the crafts business shows by how she freely shares her strategies which helped her own business. Crafters would love to read Vowell’s tip on the “Crazy Catalog” game to get more customers – she describes her experience in detail and even includes her sample letter to the customer holding the catalog. 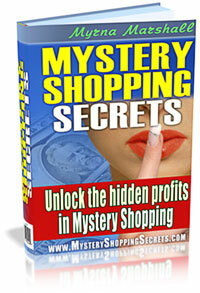 Aside from the catalog, Vowell offers other moneymaking tips here as well. The home party idea which the crafts sales team can do sounds particularly unique and interesting. This e-book, though, is a bit too text-heavy. I would appreciate relevant illustrations, especially in the catalog section, where Vowell could have placed a picture of an ideal catalog. Other than that, though, this e-book is great as it is. Crafters who want to expand their customer base would do well to read this book. These books are 8 years old now but the writing still sparkles with bustling advice that makes the work more fun and much more profitable. Unfortunately, many of the links no longer work. Other than that, these four books still make wonderful products to be offering.